Includes 9 original essays -- plus a 10th already pub. essay that deserves to be more widely known. 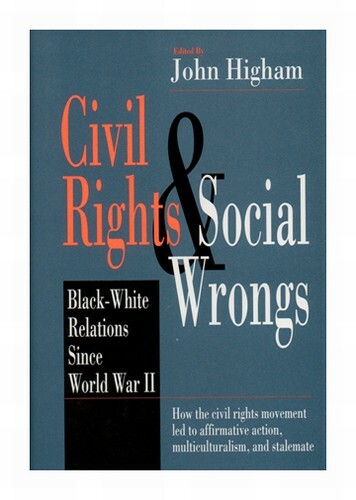 They offer a comprehensive appraisal of how the modern civil rights movement came about, how it changed relationships between blacks & whites, & how it led to affirmative action, to multiculturalism, & eventually to the present stalemate & discontent. 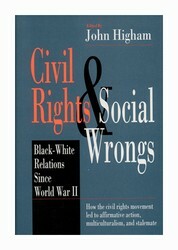 The authors, both black & white, are sociologists (Bob, Massey & Glazer), social philosophers teaching in a divinity school (Elshtain & Beem), a political scientist (Fuchs), a constitutional lawyer (Chemerinsky), a cultural critic in Amer. Studies (Early), & historians (Higham & Ravitch). The introduction provides a bird's-eye view of the civil rights movement & its aftermath.